Traffic jams are part of our daily routines and it feels that you cannot escape from them, but at least you can enjoy your time while waiting on the car. That’s what Mini Teater thought, which led to the idea of the “Trunk Theater”. The theater group from Slovenia collaborated with the advertising agency Pristop, in order to find a creative way to promote the power of theater, while entertaining the drivers that were stuck in traffic. Is there a better way to spend your waiting time than enjoy the actual shows of Mini Teater while on the road? Adults and kids were excited by the idea of seeing the trunk of a car turning into a theater stage and they were happy to enjoy the show, forgetting for a while that they were still on a traffic jam. What would normally cause them stress, now was turned into amusement, due to the idea of Mini Teater. Mini Teater had to prepare both the special stage, but also the plays that would be performed, in order to ensure that the shows will be adapted according to the needs of the traffic congestion. Thus, the shows were shorter, while the actors were properly trained to perform on such a limited space as the trunk of the car. The Trunk Theater included three shows in total, all of them addressing people of all ages, hoping to keep them happy while waiting for the car to move again. Moreover, these shows are part of the regular program of Mini Teater, which means that they also managed to promote their actual performances, grabbing the attention of a brand new audience, which they probably wouldn’t reach differently. Mini Teater was founded in 1999 by Robert Waltl and Ivica Buljan, with the purpose of enhancing creativity in post drama theatre. 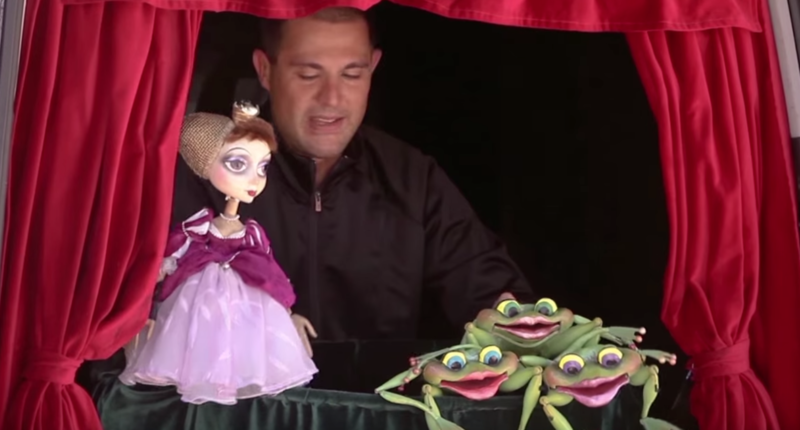 Their focus on creativity was existent once again for the Trunk Theater, which was more than successful in appealing to a brand new audience that was happy to learn more about their forthcoming shows. 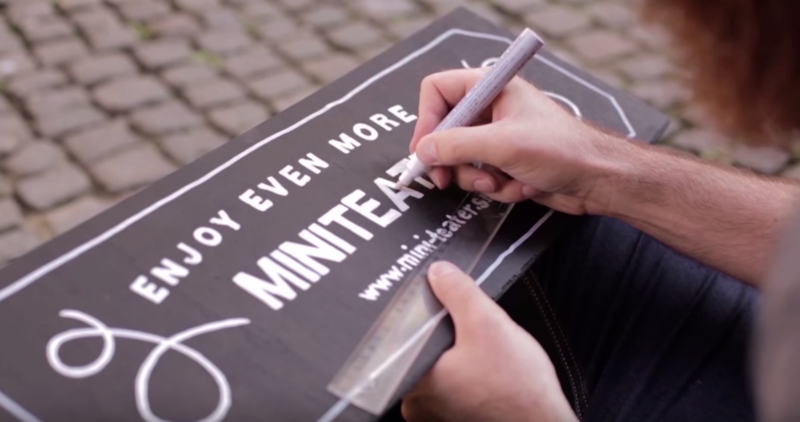 It’s more important than ever to maintain your creativity, seeking for new ways to expand your reach and promote your brand and that’s exactly what made Mini Teater popular with this recent campaign! After all, that’s the power of ambient advertising! La Place Restaurants Create Pizza in Livestreaming!